INDIANAPOLIS, February 18, 2016 — Teradata Marketing Applications, a division of Teradata Corp. (NYSE: TDC), the big data analytics and marketing applications company, said today that 4C, a Chicago-based data science and media technology company, is utilizing Teradata’s Data Management Platform (DMP) to help digital marketers improve how they collect data and report results about synchronized cross-channel advertising campaigns. 4C is leveraging Teradata’s DMP for its TV Synced Ads product that pairs television ads with digital campaigns, enabling marketers to serve complementary digital advertising at the same time a TV ad or specific program is running. This advanced approach will help 4C clients capture real-time campaign performance data, make consumer behavioral data more actionable, and provide more customizable reporting functionality. Marketers today have greater access to customer data and to increasingly numerous digital and offline channels for brand engagement. And in recent years, both the process and technology of modern marketing have advanced to include sophisticated elements such as search, social media, email, mobile, web and more. This added complexity puts marketers in critical need of advanced data management capabilities to collect and integrate all of this data for use across all channel opportunities. Teradata’s DMP permits marketers to collect online and offline data across all channels – paid, earned and owned – into a single solution that tracks the entire customer journey. With these integrated insights, marketers and their agencies can now merge the worlds of known and anonymous customers and prospects, and drive both advertising and customer marketing using a single cloud-based SaaS solution. “We are very excited to be working with the 4C team to integrate our market-leading solution with theirs. Teradata’s DMP will help 4C’s customers achieve Individualized Marketing through real-time data collection and customizable reporting,” said Kim van der Zande, Head of Center of Excellence, DMP, with Teradata Marketing Applications. 4C is a global leader in data science and media technology with solutions for cross-screen convergence. 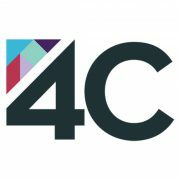 Advertisers, agencies, media companies and content owners use 4C to improve effectiveness on TV, digital and mobile. The 4C product suite includes advertising activation on Facebook, Twitter, LinkedIn, Pinterest and Instagram as well as TV Synced Ads across display, search, social and video. The company also provides advertising and content analytics leveraging its proprietary Teletrax global TV monitoring network of more than 2,100 channels in 76 countries. Founded in 2011 and based in Chicago, 4C has staff in 17 worldwide locations across the United States, United Kingdom, the Netherlands, Germany, Hong Kong, India and Singapore. Visit www.4Cinsights.com for more information. Teradata (NYSE: TDC) helps companies get more value from data than any other company. Teradata’s leading portfolio of big data analytic solutions, integrated marketing applications, and services can help organizations gain a sustainable competitive advantage with data. Visit teradata.com. its affiliates in the U.S. and worldwide. All other trademarks or registered trademarks are the property of their respective holders.